When you or a loved one are in the throes of an addiction, the world can seem like an overwhelming place. Everyone is speeding by; no one cares about your problems. You need someone to reach out with a helping hand. Detox of South Florida is here to help. Holistic treatment, caring employees and the latest technology are the values that separate Detox of South Florida from many other treatment centers; however, the core philosophy is what creates our unique environment. Our center has a primary focus on detoxification, ensuring that you or your loved one comes through our program with a completely clean slate. Detox of South Florida is home to world class technology that stands on the latest research of top scientists in the detoxification industry. We stay abreast of the latest techniques to help you or your loved one overcome addiction to substances and detox in a healthy way, including amino acid therapy, evaluation for Hepatitis C and treatment modalities for patients with suspected Hepatitis C due to IV drug use. No matter how long you stay with us at Detox of South Florida, you will always feel at home. Long gone are the days of hard beds and even harder bedside manner. When you come to us, you can rest your body and mind, recharging your physical and mental well-being for a more balanced approach to life when you finally take your leave from us. One of our most successful treatments includes amino acid therapy, which is part of the therapeutic regimen that many medical experts recommend for alcohol and drug treatment. We also evaluate for Hepatitis C for patients with a high risk of contracting the disease because of drug use. What is world class technology without a top notch staff to accommodate you? At Detox of South Florida, we make sure to hire only the most experienced and helpful medical staff. You can always rest assured that your needs will be met – no emergency will go unnoticed when you are dealing with our dedicated staff. What truly sets our staff apart is the personal attention that you receive while you are with us. If you have a problem that you need to talk out, our staff is there to listen. If you need some advice, you will always be able to find someone who understands. Sometimes this is what we need just as much as the physical therapy – a person with a warm, listening ear. 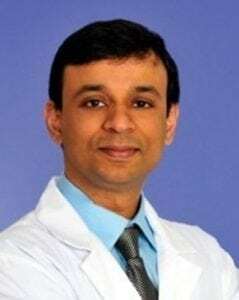 The Detox of South Florida facility is led by Dr. Vikram Tarugu, a highly reputable and established research professional in the world of detoxification and substance abuse. Under the care of Dr. Tarugu, the Detox of South Florida center has flourished with new innovations and success stories. We have been able to help thousands of patients find their way again through an individualized, customized program of physical detoxification and emotional support that Dr. Tarugu has perfected. You will need the biological leverage that Detox of South Florida gives you in your outpatient treatment so that you can overcome the temptations of the real world. However, this is where we really shine – your inpatient treatment is not the end of your story with us. We realize that the real problem behind substance abuse is your environment as well as your personal situations. We will take care of you while you are in our personal inpatient program, but we will also give you the habits that you need to succeed during outpatient treatment as well. Do not wait to give yourself a leg up on your problems. The Detox of South Florida facility is here for you, but you have to make the first move. Dr. Tarugu and staff are waiting by the phone to help you as soon as you call us. Even if you have a serious condition such as confirmed Hepatitis C or you are looking for treatment modalities, we can help. Give us all of your questions and your fears, and we will be more than happy to help you find the right answers at the Detox of South Florida center for substance abuse.